In your blogger’s humble opinion, there are few better occasions for relaunching a blog than an engagement. 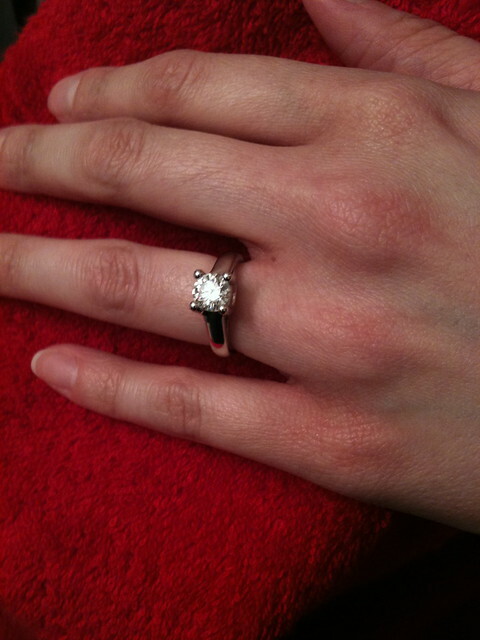 And so, in the interest of higher traffic and making a handful of you squee, I present some stuff from the greatest trick the devil ever pulled: convincing the beautiful Miss Uy to marry me. Him. Whatever. It’s after the jump. 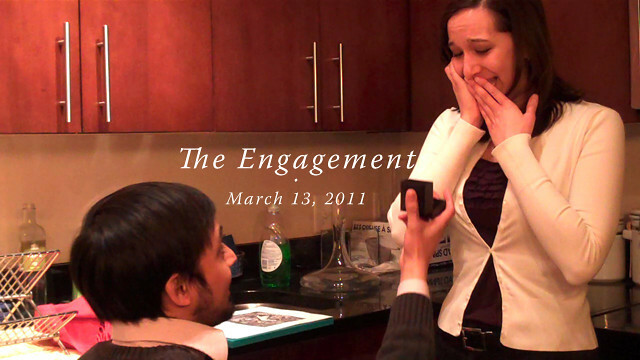 The Engagement from Nikhil Bhat on Vimeo. 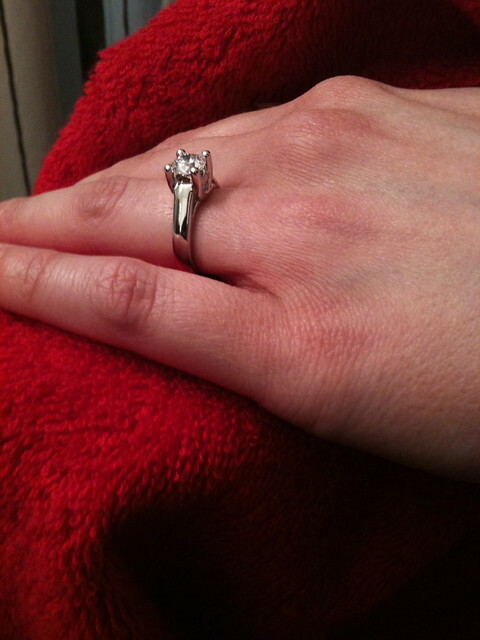 The engagement and ring planning was a long time in the making. This particular plan, the fourth or fifth I attempted, was to involve a surprise picnic at Meridian Hill Park upon her return from an unhappy trip to visit ailing family member. Double surprise, as she expected me to be in New York all weekend. It was pretty thoroughly planned: I was going to have a picturesque backdrop and semipro photography and food. Lots of food. Instead, I had a contingency plan that struggled through the afternoon, an indoor backdrop I’d specifically rejected earlier that week, a precarious base for a Filp Mino camera…and the love of my life still standing there by me. 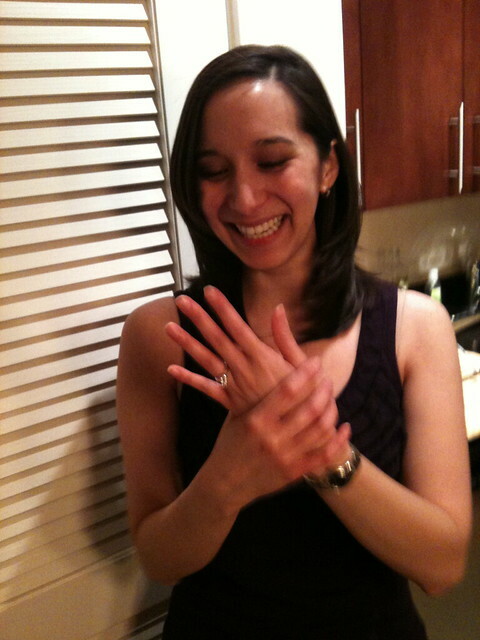 So despite the comedy of errors that transpired that Sunday, I asked her. The “book” I’m reading is actually a six-page take on Oh, the Places You’ll Go I put together the day before based on illustrations from the original book. The best part: I managed to flub words that I was staring at. So to those of you planning on asking your special someone: no matter how much you prepare, you will be nervous enough to sound like a blathering idiot. Sorry. We haven’t finalized wedding plans yet, but there will be ceremonies in Maryland and India to honor each of our faiths and families. And, of course, it will be done at our earliest convenience, because I have got to lock this down before the shininess stops distracting her.